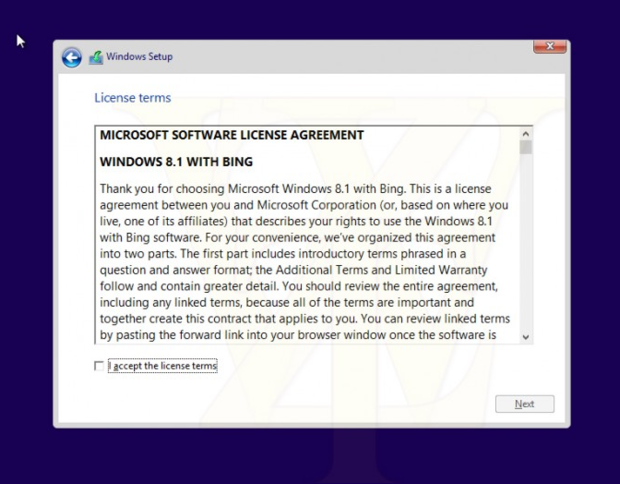 Windows leaker WZOR has released some screenshots of a new Windows product edition, or SKU, called "Windows 8.1 with Bing". Windows 8.1 already includes Bing SmartSearch and most of Microsoft services by default but Mary Jo Foley who writes for ZDnet thinks the new SKU is key to Microsoft's experimentation with monetization. In 2010, Microsoft charged PC makers only $2 per copy for Office Starter 2010 Edition if they also agreed to preload the Bing Bar and Windows Live Essentials. If a PC maker wanted Office Starter 2010 only, Microsoft charged $5 per copy for it. Now with competition with Google Chrome OS, it won't be surprising if Microsoft release a feature-limited free version of Windows 8.1 with Bing in the near future. From my point of view, I made the right decision several few ago to use Linux as my primary OS. Also free, but no ads and I can change anything to anything. People won't download Windows RT even if it's free! The screenshot clearly says "Windows 8.1".